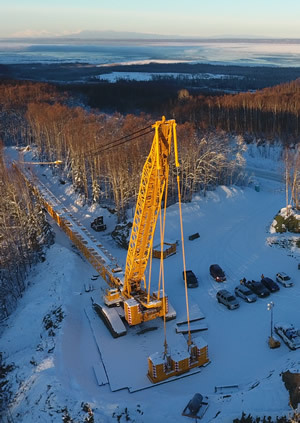 Incorporated in 1972, Eklutna, Inc. was organized under and bound by the Alaska Corporations Code and the provisions of ANCSA and continues to play a vital role in the economic landscape of the Anchorage area. Eklutna, Inc. owns 90,000 acres within the Municipality of Anchorage (MOA), including areas of Eagle River, Birchwood, Chugiak, Peters Creek and Eklutna. Additionally, the Corporation has significant holdings in the Matanuska-Susitna Borough, with approximately 67,000 additional acres due to be conveyed from the Bureau of Land Management. As a land developer, Eklutna, Inc. owns some of the last remaining prime commercial, industrial and residential real estate within the MOA. Today, the Corporation represents more than 170 shareholders and manages a variety of investments, including commercial properties and residential developments. The Eklutna, Inc. Scholarship and Grant Program offers unique and flexible programs that address potentials from early childhood development, general educational development (GED), career advancement, cultural/fellowship grants, and vocational or post secondary education opportunities. 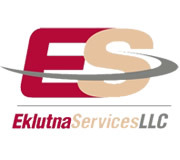 The Eklutna, Inc. Board of Directors is so very pleased to announce that the Eklutna, Inc. Scholarship & Grant Program has been reactivated for the Merit Scholarship and the Vocational Training Grant under the administration of The CIRI Foundation (TCF). The Career Upgrade Grant is now being offered as a part time scholarship for those individuals with a high school diploma or GED will be managed through the Scholarship and Vocational Training Grant application. Paper applications are available at www.thecirifoundation.org. The Eklutna, Inc. Board of Directors and Eklutna Scholarship Committee are excited to announce that Cook Inlet Tribal Council, Inc. (CITC) will be administering the Grants portion of the Eklutna Scholarship and Grant program. These funds are designed to support a variety of education and employment improvement opportunities, and do not require a diploma or GED. Applications are processed on a monthly basis and are available on the CITC website. For those individuals without a high school diploma or GED, grants for further career upgrade opportunities will be managed through the Child-Adult Development Grant. 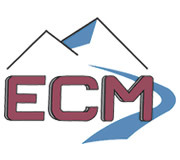 For more information about ECM click here. 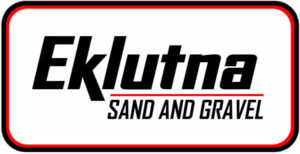 For more information about our Sand and Gravel click here. For more information about our Construction Subsidiary click here. 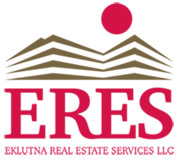 For more information about our Real Estate Subsidiary click here.